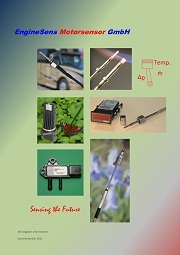 Temperature Probes, Differential Pressure Sensors for Particle Filters, Airflowmeters, NOx-Probes and consultancy regarding Exhaust Gas Purification and Exhaust Gas Sensors. Customer satisfaction is the priority of our activities. 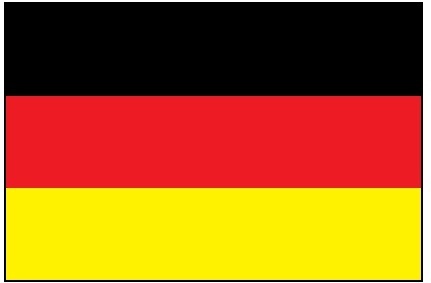 Wir offer customized and price-worthy solutions. We maintain constructive, long-term and trusting relationships with our partners. Our behavior with customers, suppliers and employees is characterized by fairness, friendliness and mutual respect. 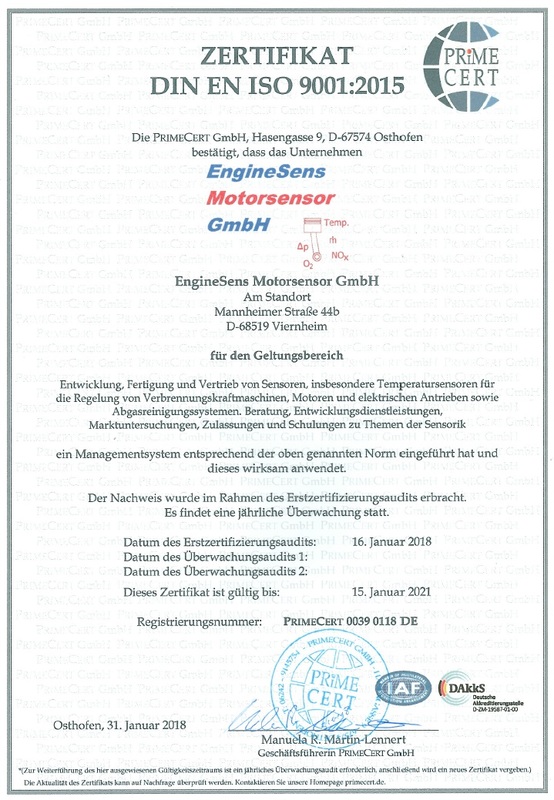 Each employee must be aware that his behavior influences the reputation of EngineSens Motorsensor GmbH. As a participant in economic affairs of our society we are committed to the environment. Therefore, we are working on sustainable strategies that help to keep our planet clean and to use limited resources in an economic manner. Our future is to identify changes and new demands and to take advantage of new opportunities and ideas to implement them technically and economically. Continuous improvements of our products and services are the top goal of the management. Our manufacturing process has been certified according to DIN EN ISO 9001:2015. Traceability is a lived standard. as we are supplying automotive customers amongst many others. Our products are also found in vessels, industrial equipment and even airplanes.